The Health Insurance Portability and Accountability Act’s (HIPAA) Privacy Rule requires covered entities to give medical record access for patients on request. Patients should be able to obtain a copy of their health records in paper or electronic form within 30 days of submitting the request. Last year, the Department of Health and Human Services’ Office for Civil Rights (OCR) issued guidance for covered entities on providing patients with access to their medical records. A series of videos was also released to raise awareness of patients’ rights under HIPAA to access their records. In theory, providing access to medical records should be a straightforward process. In practice, that is often not the case. Patients often have difficulty accessing their electronic health data with many healthcare organizations unable to easily provide health records electronically. Patient portals often provide information for patients, although the information available via patient portals can be incomplete or inaccurate. When patients need to obtain their health information to give to other healthcare providers, they can find it difficult to find the information they need. 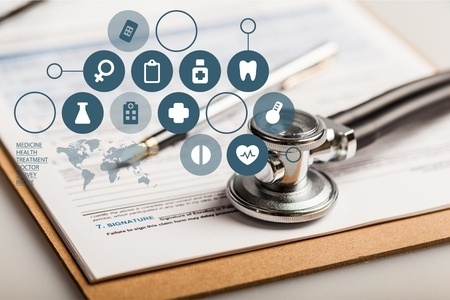 The Office of the National Coordinator for Health Information Technology (ONC) has recently published a report detailing some of the problems faced by healthcare providers when providing medical record access for patients. The report offers useful tips for healthcare organizations to help them provide medical record access for patients quickly and easily. For the report- Improving the Health Records Request Process for Patients – ONC spoke to 17 consumers to find out about the challenges they faced when attempting to gain access to their medical records. The report includes three examples of patients and caregivers that have experienced difficulties when attempting to exercise their right to access medical data. The personas are fictional, although the challenges faced by those personas were taken from real world examples. ONC also looked at the medical record release forms used by 50 large healthcare systems across 32 states and spoke to stakeholders and health system professionals about the challenges faced when trying to provide patients with copies of their health records. ONC discovered the process of providing electronic copies of health records is often hampered by inefficient systems and limited resources. The research has allowed ONC to develop tips to help healthcare providers create a streamlined, transparent, and electronic records request process. Making the suggested changes will allow health systems to improve the process of providing access to health data. Patients will then suffer less frustration and be able to obtain their records faster, allowing them to coordinate their care more effectively and have greater control over their health and wellbeing.